I conclude this de Havilland series with the one de Havilland twin that I heard about before all the others. Those are the words of Eric “Winkle” Brown, speaking about the de Havilland Sea Hornet, the navalised version of the DH.103, in his book “Wings of the Weird and Wonderful”. The fact such words were uttered about a piston engine aircraft in the dawn of the jet age tells you just how right de Havilland got it. The Hornet marked the end of an era, two eras in fact. It was one of the final piston engine fighters in front line service as well as one of the fastest. It also marks the end of a design lineage that ran from the DH88 in 1934, right through the war with the Mosquito, it was the last of the big, all wood, de Havilland twins. One only has to look at pictures of the aeroplane to see it inherited its older siblings looks and, much like the Comet, looks lightning fast just sitting there. It was the ultimate in piston-powered flight, using the legendary power plant of twin Rolls-Royce Merlin’s, special slimmed down versions to be precise, providing 2,030 horse power each. It even had one of the engines modified to rotate in the opposite direction, removing the torque related swing problems that caused so many accidents with the Mosquito. 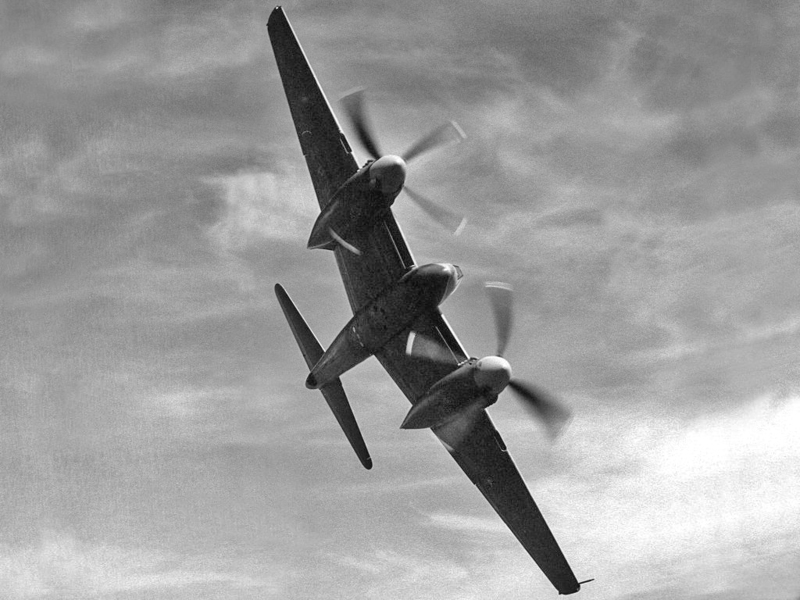 The Hornet featured a smaller, lighter and stronger wooden construction than that of the Mosquito, with a bubble canopy on top for increased visibility. This combined with a top speed of 472 MPH; no doubt made it a formidable prospect at the time of its design in 1943. However it did not fly until April 1944, as such by the time the aircraft was ready for service, in 1946, the war was long gone. The reason I knew about the Hornet from such an early age was my Grandfather, Jack Sherburn. 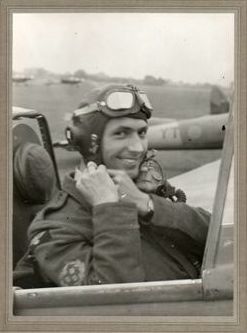 My Grandad, Jack Sherburn, strapping in to his Hornet. He was stationed at Linton-On-Ouse flying these machines and always said it was his favourite aeroplane out of all that he flew in his career. Jack loved it as an aerobatic machine and performed many displays, most notably a special show for the then Princess Elizabeth at Bentley Priory as well as winning the RAF syncro pair competition in 1950. One particular story of his displays sticks in my memory. He told me that for a while he would enter a loop with one of the engines shut down and feathered, then whilst going over the top he would swap to the other engine. Apparently no one ever seemed to notice the switch and he soon dropped it from his routine. But doesn’t that tell you just how powerful this machine was? 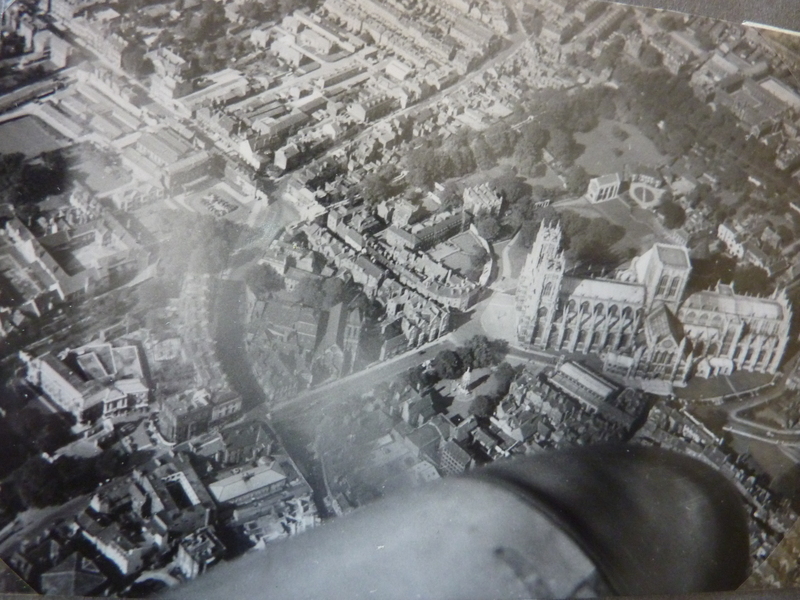 A shot of York Minster, taken by my Grandad, from a Hornet. “sad day…when we delivered our beloved Hornet….and collected our new, peculiar no propeller aircraft. The end of an era”. It was clearly a much-loved machine by my Grandfather and other pilots alike. In terms of combat service, Hornets flew 4,500 missions out of Singapore during the Malayan Crisis over five years. With the final Hornet missions taking place in 1955. Three Sea Hornets lined up on an air-to-air shoot. Despite having this impressive performance, the Hornet was ultimately too late, unable to compete in the fast developing jet aircraft. 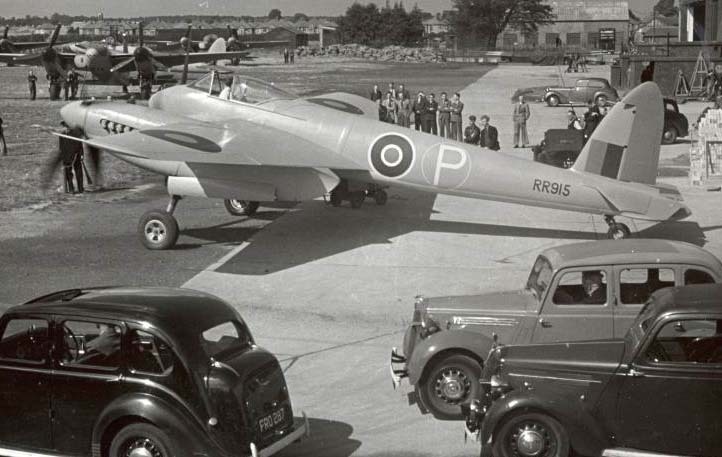 You would of course think that as the aircraft was in service fairly late on and the last in a historic line, not to mention one of the fastest piston engine aircraft ever produced, that the RAF would have tucked one away into storage. Ready to some day be put on display at the RAF Museum at Hendon or Cosford. Sadly this is not the case. In truth, basically all of the in service Hornets were destroyed, reading through the aircraft histories, you can’t help but notice how often the word “scrapped” appears. A real shame that such an impressive type was made extinct almost overnight. As a result I have never seen one, neither has my Father, or anyone else since about 1960. 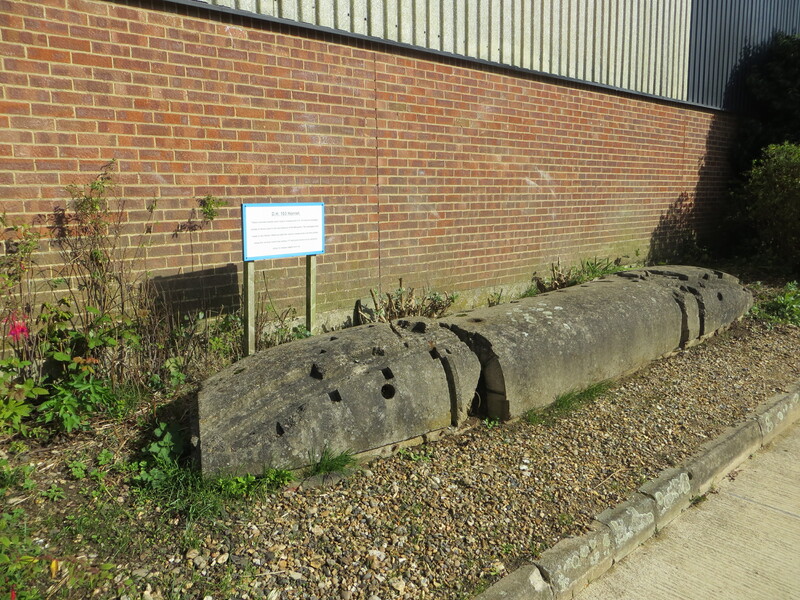 The closest we have come is a tail section from a Sea Hornet at the de Havilland Aircraft Museum at Salisbury Hall, along with some of the fuselage moulds, which, aside from a decaying wing section in rural Canada, are the largest remains of a Hornet. 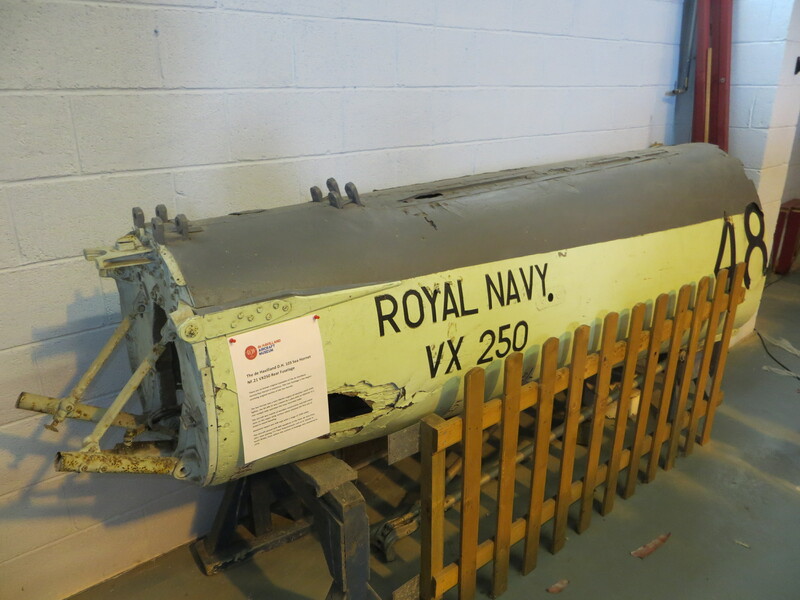 The tail section of Sea Hornet VX250 – The largest remaining Hornet Part, at the de Havilland Aircraft Museum at Salisbury Hall. The concrete moulds used to construct the Hornet fuselage. David Collins is in the process of producing a new build, replica Hornet cockpit, with plans to eventually build at least a fuselage. Having seen the cockpit in person, I can testify that it is a remarkable project. It goes some way at least, to imagining what a machine this would have been. I have included some pictures that David was kind enough to send me of the project. 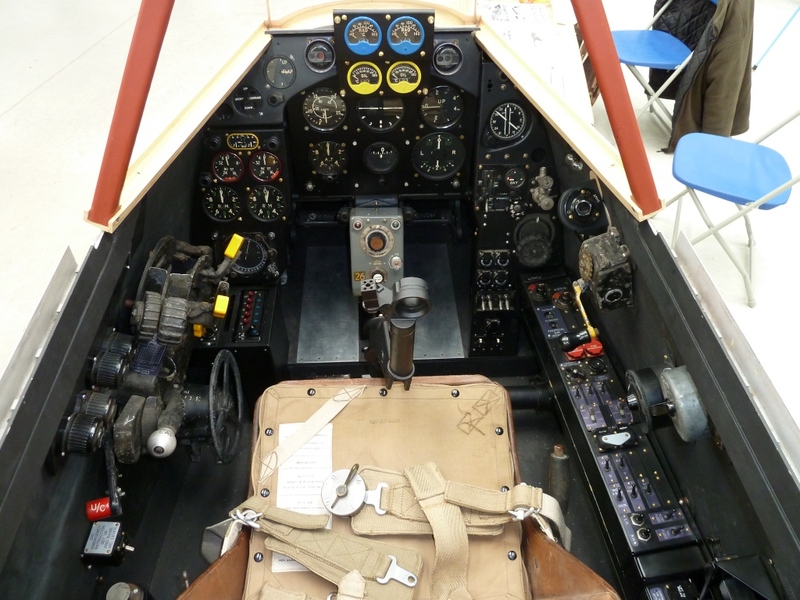 The Cockpit is in the Sea Hornet PR.22 configuration in these photographs; David has assembled two instrument panels, the Sea Hornet version and an RAF example representing the F.1. David Collins’ Cockpit project. Photo courtesy of David Collins. I hope that one day the Hornet rises from the ashes and can be resurrected, after all, Mosquitos have effectively been built new in the past few years, so the skills are there. Perhaps one day someone with the correct balance of interest in the type and the money to make it happen will come along. I’d love to head to a museum one day and be greeted by that distinctive profile, or watch as a Hornet is put through its paces over an airfield, and think of my Grandad and the stories he used to tell. 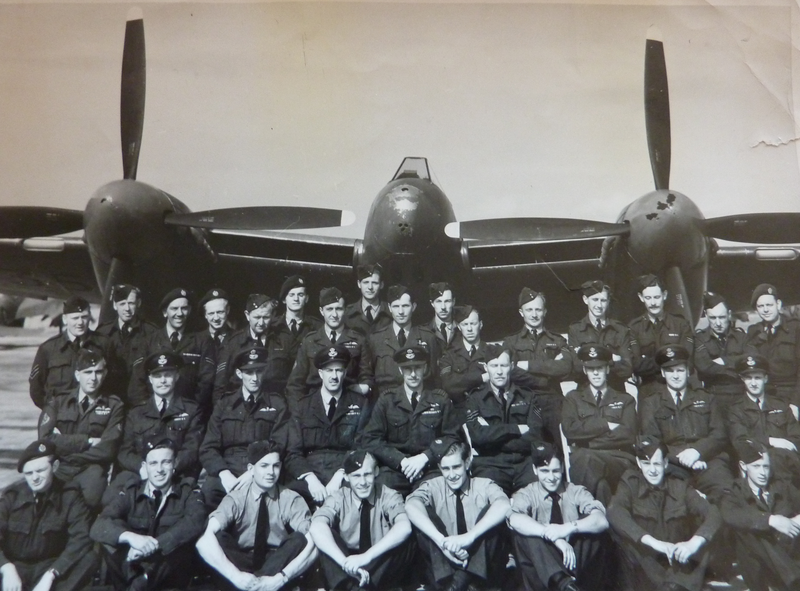 Another shot from my Grandfather’s collection, of 65 squadron, in front of one of the their Hornets. Until then I shall make do with pictures and stories. With projects such as David Collins’ around, hopefully the type won’t be left to fall into obscurity. But for now, this final chapter remains just as the title says, a de Havilland dream. If you enjoyed this post, parts 1 and 2 of the de Havilland Dream Series can be found here (DH88 Comet) and here (DH98 Mosquito). Don’t forget to follow Warbird Tails on Facebook and Twitter to get up to date posts and pictures. I can not seem to find out where David Collins project is happening and if it can be viewed. 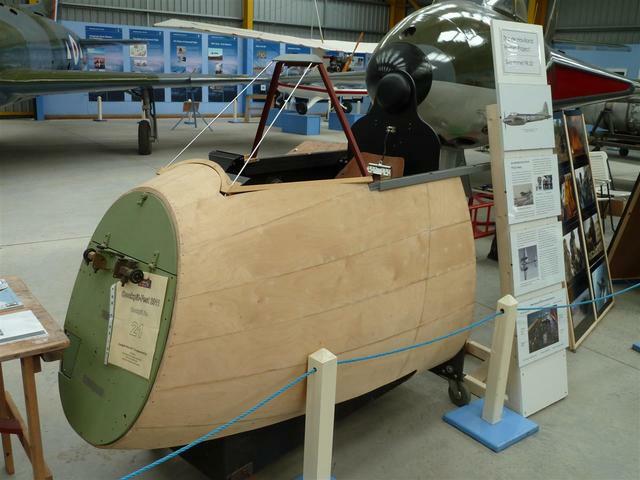 It is a private project that David sometimes displays at shows and special events, I believe it is planned to be on show at the Newark Air Musuem Cockpit Fest event in June. Must have been fascinating working on these aircraft. 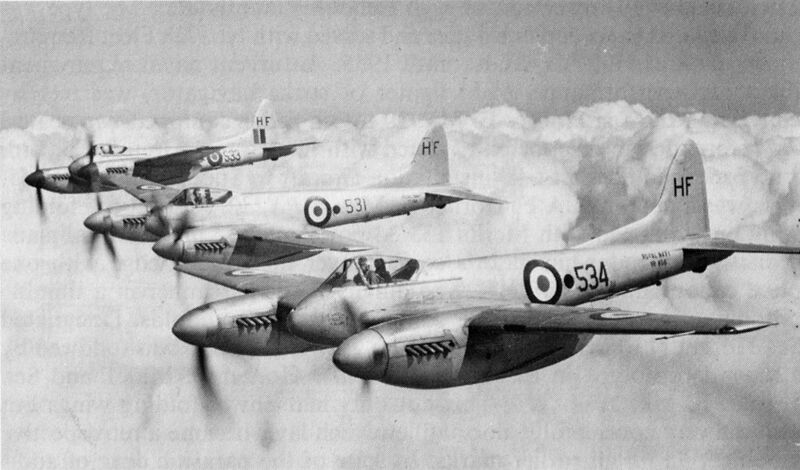 Dead Mr. Collins, I have became obsessed with the De Havilland Hornet, and Sea Hornet. I have both of the Classic Airframes kits as well The new Trumpeter Dh. 103 F 1 and the Sea Hornet NF 21. I plan to buy the Trumpeter Dh. 103 F 3 as soon as it becomes available, I have 2 of the Eduard’s upgrade kits to go with my Trumpeter kits. Are there any plans to make correct land gear and the other stuff for the 2 Trumpeter kits ? I know that you have worked very hard on bring this aircraft back to life, and I wish you all the luck in the world…Wish there was something I could do to help 😦 but I’ve became so crippled up in my old age. Building model airplanes is about all I can do these days. Of course it is very enjoyable pastime. Except my eyes are not very good working with 1/48th scale stuff. I am planing to write Airfix and try to get them to bring a 1/24th scale kit of the Hornet to all of us old geezers. I know of the 1/32th scale HpH kit and, “Lord willing and the creek don’t rise”, I will buy 1 each of their 2 kits, they have the Hornet and Sea Hornet out now. Well I hope one day to see a resurrected Hornet fly. Again the best of luck to you in your efforts, from an old plane crazy, car nut North Carolinian Tar Heel.